Honor Roll Member – Branson-Potts, Hailey Renee « Perry High School Alumni Association, Inc.
Hailey Branson-Potts is a staff writer for the Los Angeles Times. She was part of a team awarded the 2016 Pulitzer Prize, American journalism’s top honor, for breaking news for covering the terrorist attack in San Bernardino, California. Branson-Potts graduated with a journalism degree from the University of Oklahoma in 2010. The school’s Gaylord College of Journalism and Mass Communications sent her to Bangladesh and Pakistan in 2010 to teach multimedia skills to female journalists. As a student, Branson-Potts completed numerous internships. She interned twice for The Oklahoman, working first on its state desk and then as an investigations intern, where she produced an award -winning series about funding for the state’s federal Superfund sites. 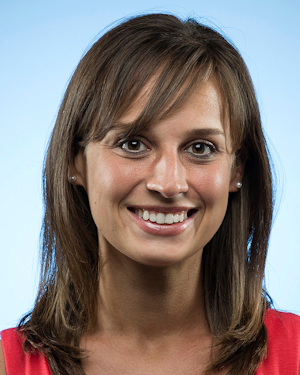 Branson-Potts interned in the Houston Chronicle’s Washington, D.C., bureau in 2009, covering President Barack Obama’s inauguration and first 100 days, reporting regularly from the White House. That summer, she was a Dow Jones News Fund copy editing intern for the New York Times, working from the newspaper’s Manhattan headquarters. She interned for the Chicago Tribune in the spring of 2011. Branson-Potts began working for the Los Angeles Times in September 2011 and was part of a team that produced a four-part investigative series about prescription drug abuse in Southern California. As a Times reporter, she has covered everything from the deadly 2013 Moore tornado to the murder trial of a Rockefeller family impostor to the attempted takeover of a small-town California government by an angry fertilizer maker. Branson-Potts is the daughter of Jason and Shelli Branson and the granddaughter of Bonni and the late Butch Branson and Jim and Jackie Streck. She is married to Mark Potts, an Enid native who works as a video editor for the Los Angeles Times.